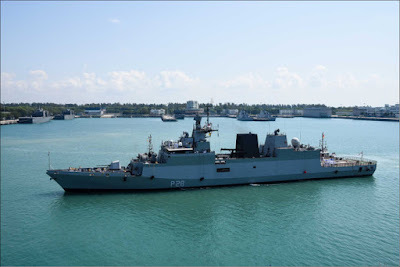 In pursuance of India’s Act East policy, Indian Naval Ships Sahyadri, Shakti and Kamorta are on an Overseas Deployment to the South East Asia and entered Singapore Port on 06 May 2018 for a three day goodwill visit. 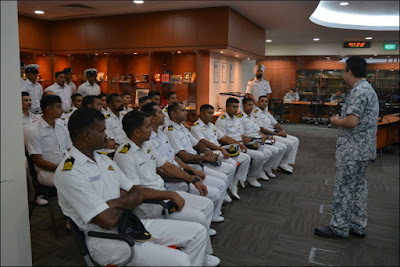 During the visit, various activities such as official calls, ships open to visit for school children and Indian community, and professional interaction between naval personnel of both the nations have been planned. As part of the official calls, the three Commanding Officers and Fleet Operations Officer called on Col Edwin Leong, Fleet Commander, Republic of Singapore Navy (RSN) on 07 May 2018. An Indian Naval delegation also held interaction with RSN representatives during their visits onboard under construction RSN’s new Littoral Mission Vessel (LMV) RSS Justice and at International Fusion Centre. 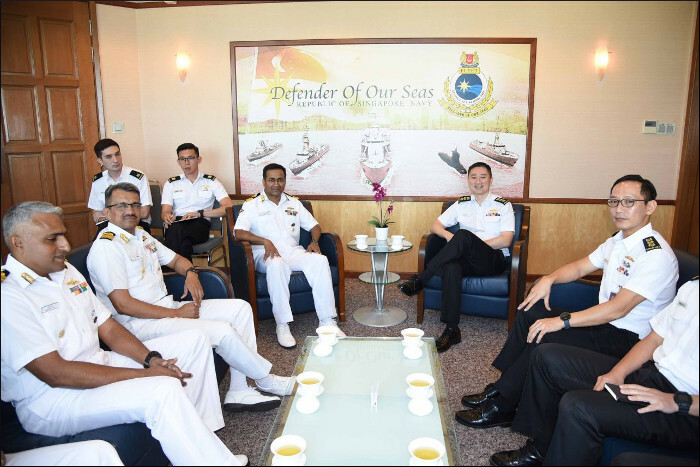 The two countries share a rich history and a strategic relationship. 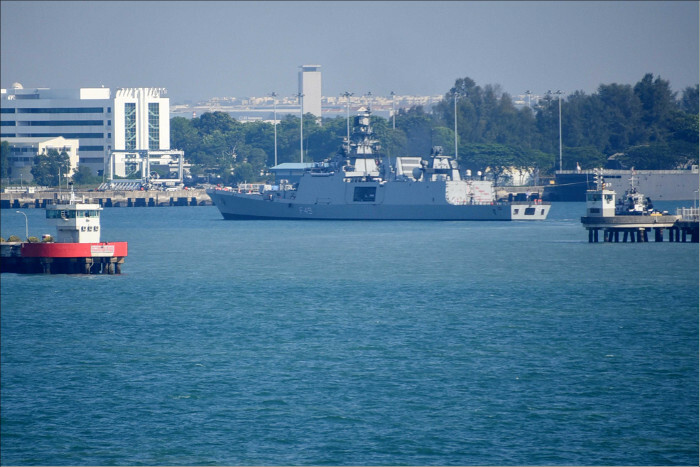 A number of bilateral agreements exist between the two countries in various spheres. 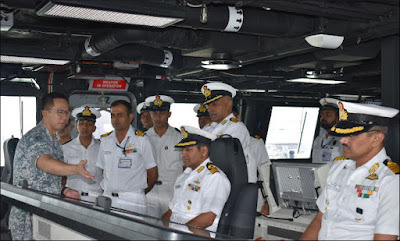 The visit of Indian Naval ships seeks to underscore India’s peaceful presence and solidarity with friendly countries towards ensuring good order in the maritime domain. 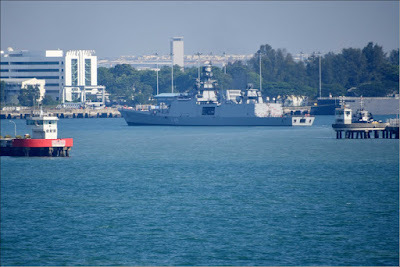 Indian Naval assets have been increasingly deployed in recent times to address the main maritime concerns of the region. The current deployment will contribute towards the Indian Navy’s efforts to consolidate interoperability and forge strong bonds of friendship across the seas.